Whenever I am photographing birds in flight, I hope for them to be doing something interesting like catching a fish... well no fish, but I've never photographed a pelican unloading his bowels as he flies before! Hahaha! Better over the water, than over you! Such a funny capture! Great timing! Fav! At first. I just glanced at the picture. 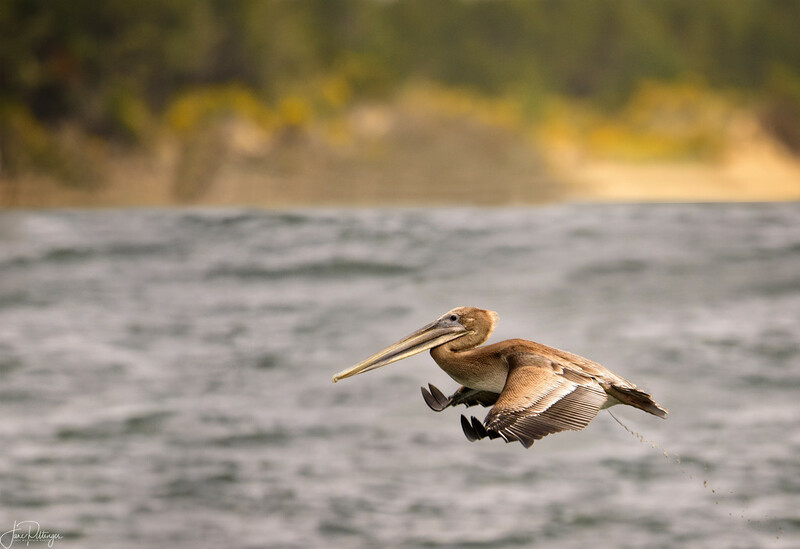 In my mind I anticipated a title of "Pelican in Flight" . Then I saw the word "pooping." Super timing :) The wings look like landing gear prepared. Ha ha, brilliant timing. Must have been a scary landing. WOW...What a great shot :). Gives him a little extra boost. :-) Super capture. Oh wow, booster jet. Love the way the wing-tips are curved almost looks like feet down for landing. OMG!!! Loving the thread too!